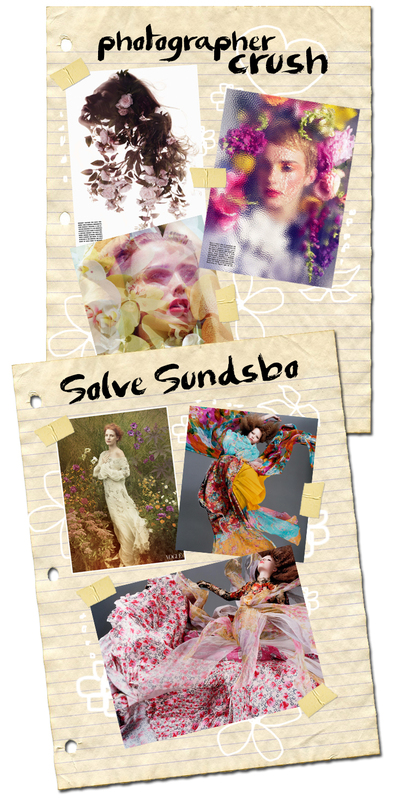 Solve Sundsbo my new crush!! So, the other day I was looking for a specific Vogue photo, because I like Vogue, the covers and editorials are not only about fashion, is another level of artistic expression. In that search, I found photos by Solve Sundsbo and was mesmerize by them. They are not only artistic, they tell the kind of stories that I love to read, the kind of stories that live in my dreams. Do you have a photographer crush?